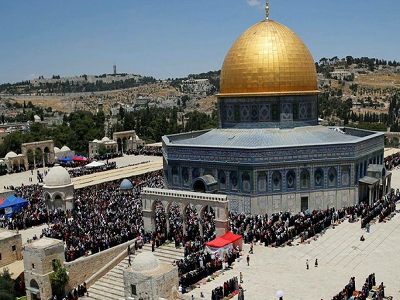 Witnesses and officials from the Islamic Endowment (Waqf) that control Al-Aqsa Mosque told Ma’an that more than 60 Israelis toured the compound, escorted by six Israeli intelligence officers. The Waqf condemned Israeli authorities last week for the latest “provocations and harassment” taking place on the Al-Aqsa Mosque compound amid the holy month of Ramadan. 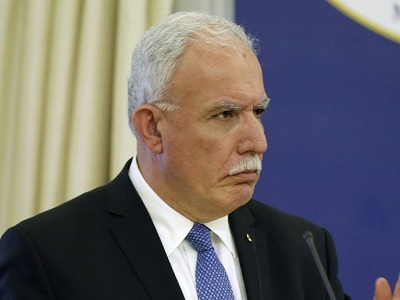 It further slammed Israel for their policy that “seeks to deprive the Waqf of their natural and historic right to run Al-Aqsa Mosque, and deprive Muslim worshippers of their opportunity to pray in it,” stated Ma’an. Israeli police officers stationed outside of the compound prevented pre-dawn meals taken by those observing Ramadan, from reaching Muslim worshippers who spend the night inside the compound. Witnesses reported that a “heated argument” broke out between Palestinian worshipers and Israeli police officers. On Monday, Israeli authorities had also banned a senior Fatah leader, Awad al-Salayma, from the Al-Aqsa Mosque for two months.